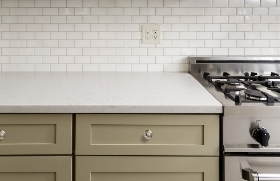 Inexpensive Improvements That Will Make Your Kitchen A Hot Selling Feature! Kitchens sell houses . . . and bad kitchens cause houses to take longer to sell, and to sell for less money. 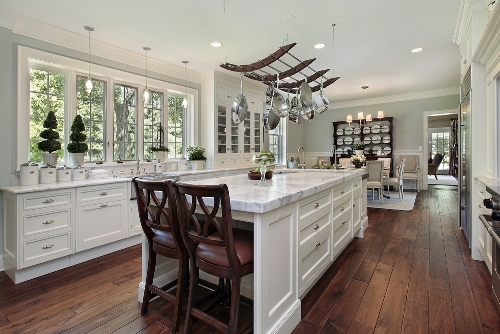 Here are some good ideas for making your kitchen more appealing without spending a ton of money. You can do all these yourself for just the cost of supplies, and the resulting improvements can easily add many thousands to the value of your home. 1. A fresh coat of paint is one of the best boosters of a space, and if you do it yourself it is very inexpensive . . . the cost of a gallon or two of paint and perhaps a roller, brush, tape, and a few other supplies that you can re-use for the next project. 2. Replace or add hardware to your existing cabinets. Hardware is like jewelry for your cabinets, and updated hardware can make a dramatic difference at a very low cost . . . and it's easy. We all want our home to look like it's been staged by HGTV designers, right? Unfortunately, professional home stagers can cost you anywhere from $50 to $150 per hour, and it could take many hours of work to get that complete professional look. The fact is, professional staging does get homes sold faster and for more money. If hiring a professional home stager is just not in your budget, the good news is that there are several very inexpensive things you can do to 'stage' your home and present it at its best to potential buyers. Beautiful video of flight over Polson Bay Golf Course. Catch a glimpse of my NEW LISTING on the video. Get the details for 317 Montana Landing in Polson!